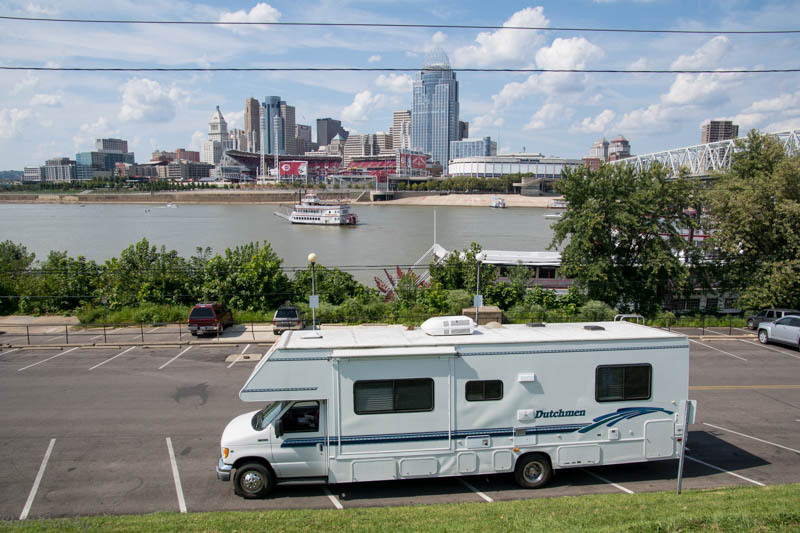 It was a chilly start at the Streesboro, OH campground. 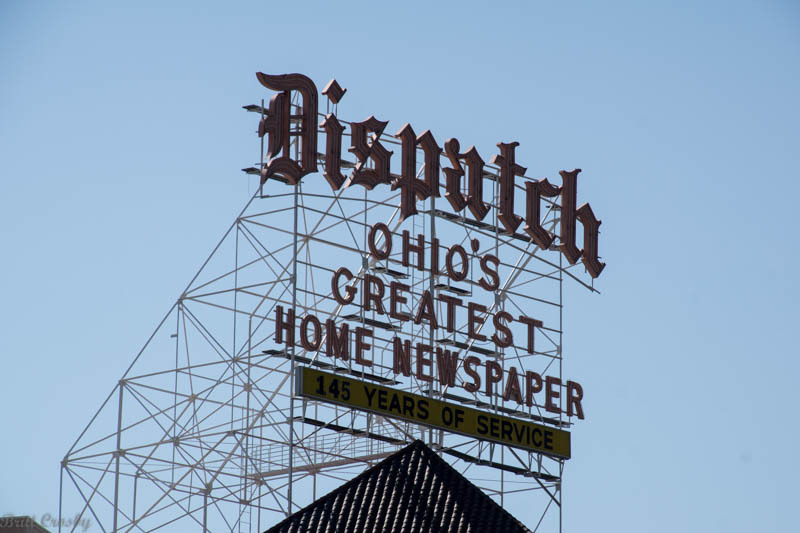 Our drive took us to I-71 and south towards Columbus, the capital of Ohio. 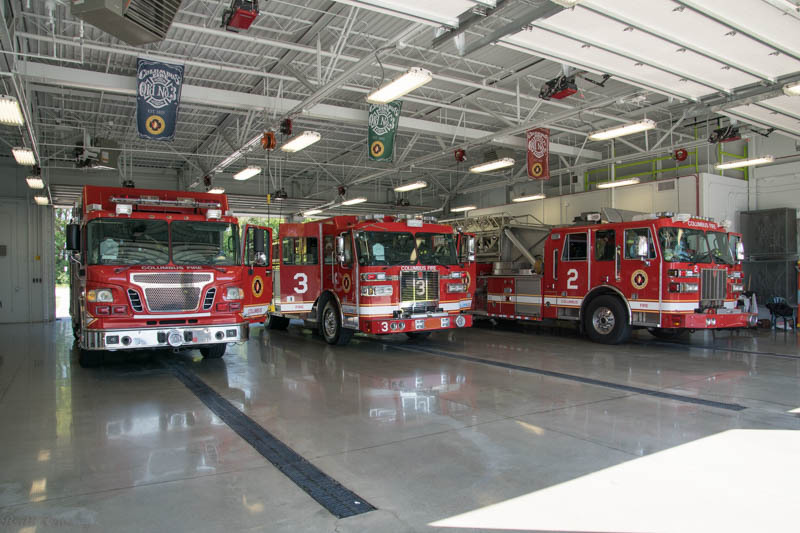 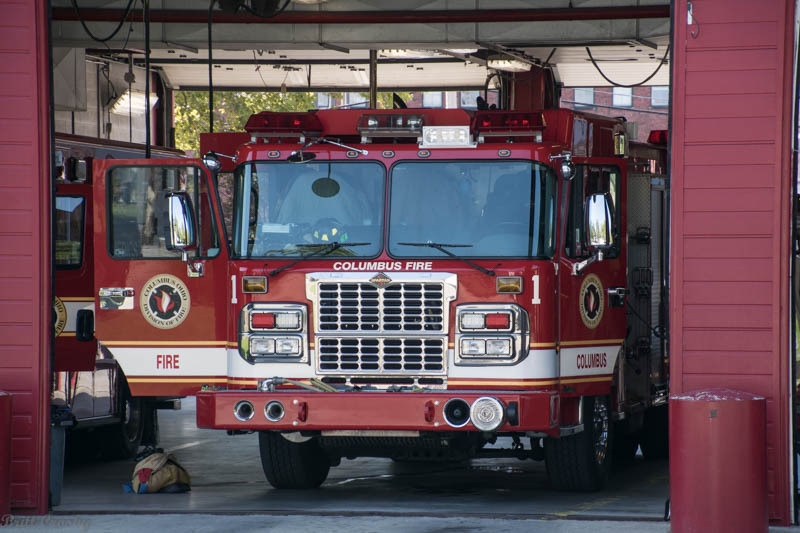 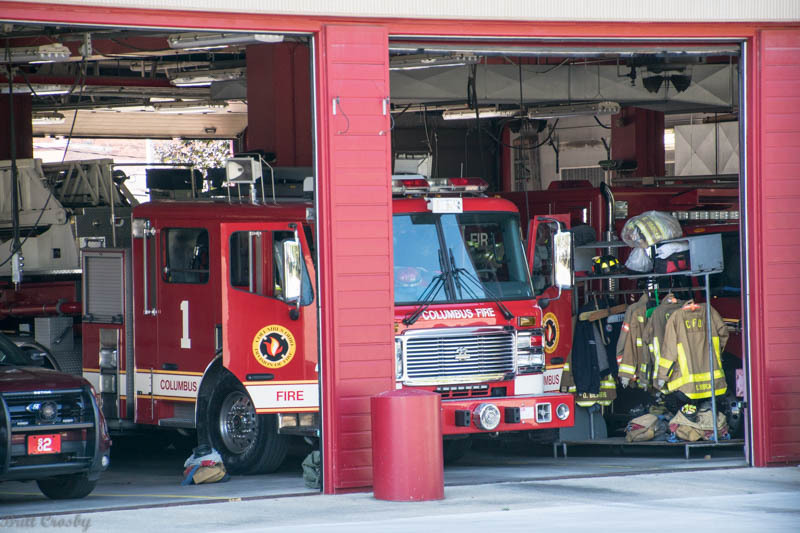 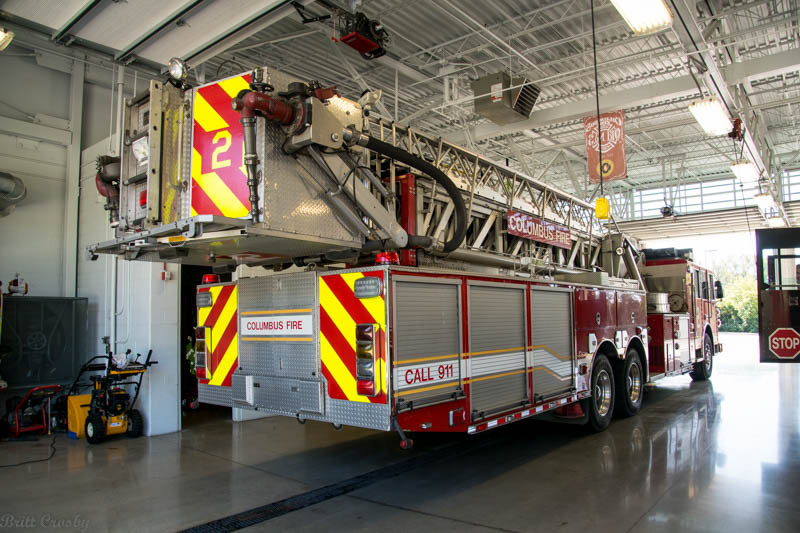 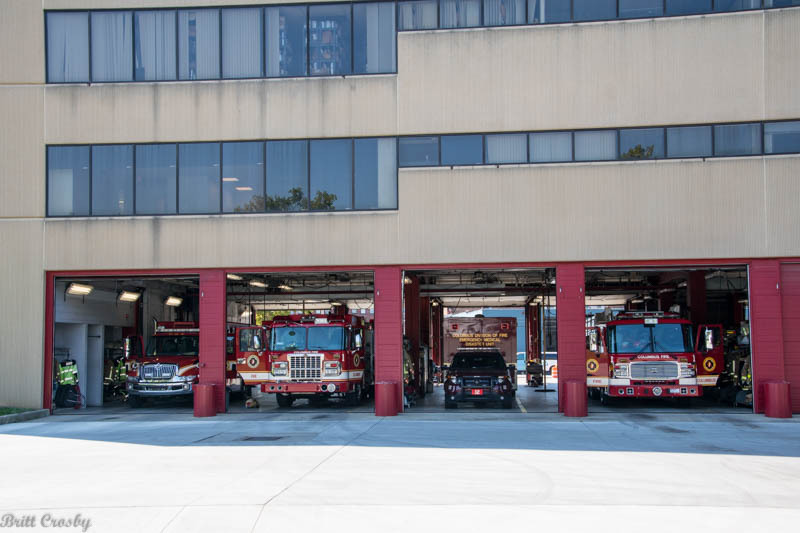 We visited the city and got some photos of stations and apparatus. 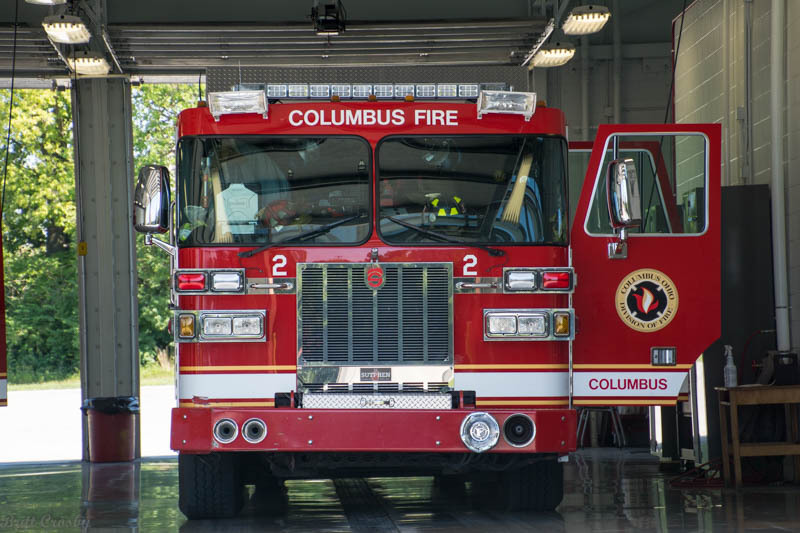 We noticed a rear turn signal was out (never a good thing when driving a big rig around cities) so we found a Walmart and successfully repaired the tail light before driving on. 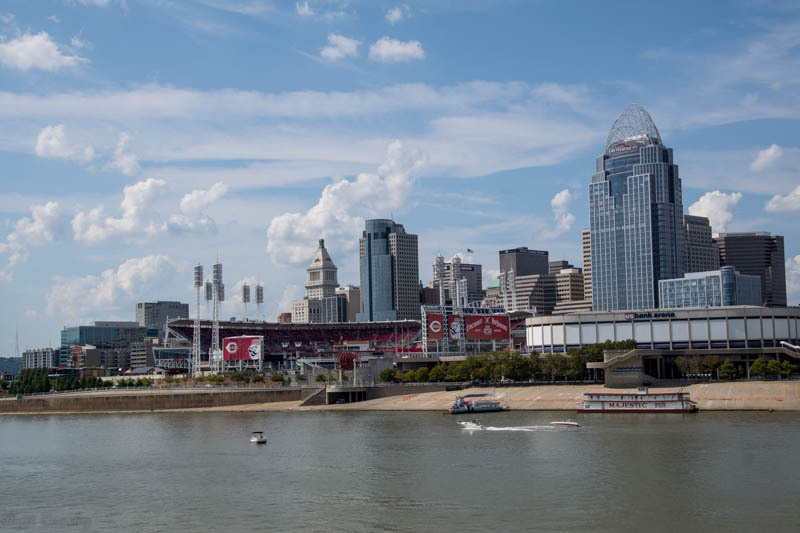 Continuing south on I-71, we made a visit to the Great American city of Cincinnati, OH located on the Ohio River. 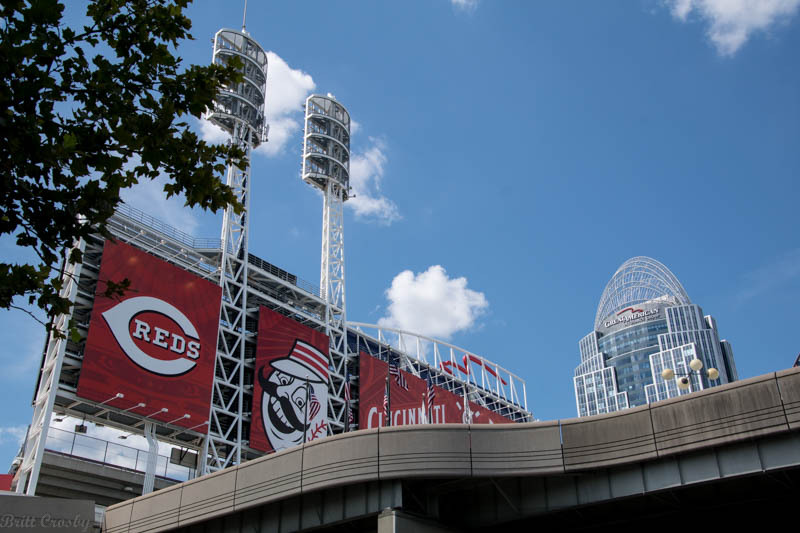 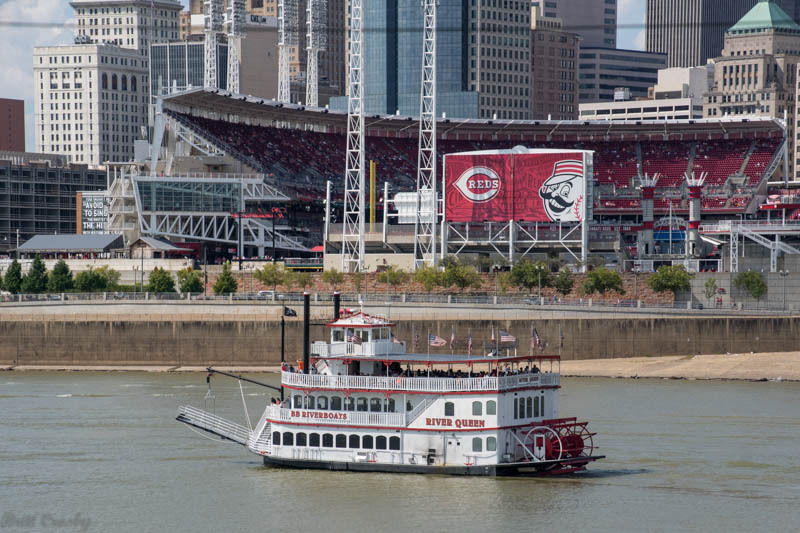 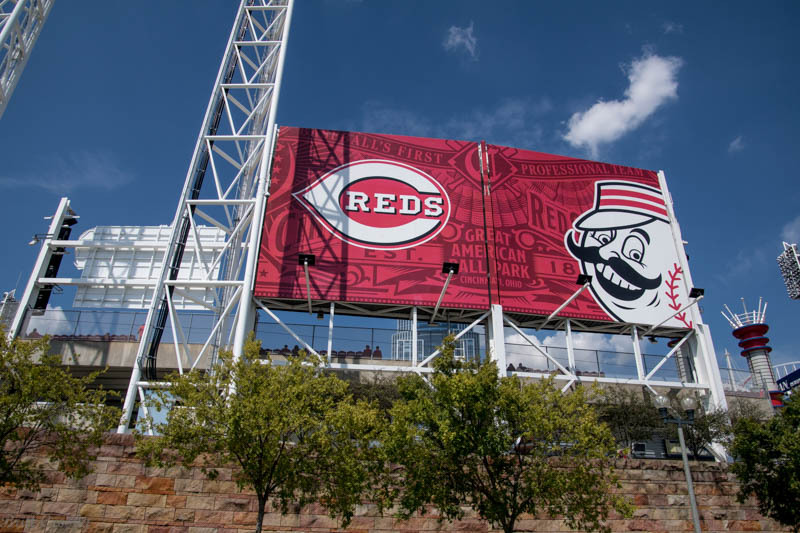 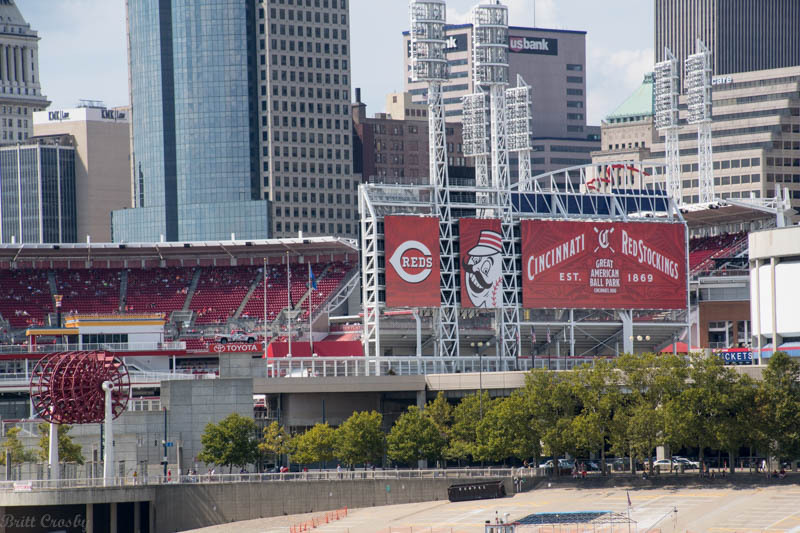 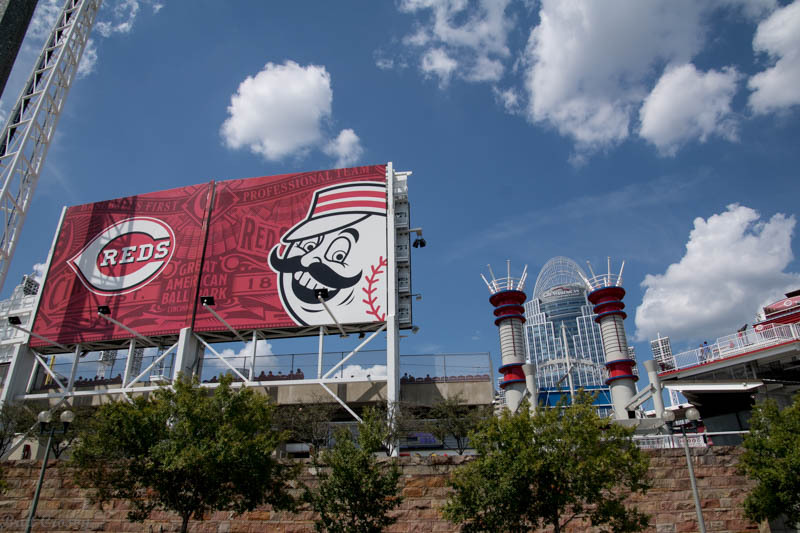 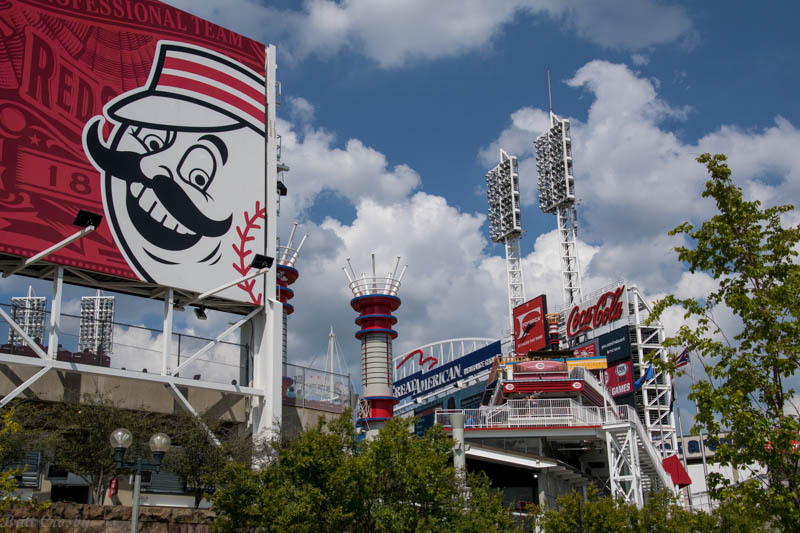 The Reds were actually playing the Mets at the Great American Ball Park down by the river, which by the way has a great river walk park. 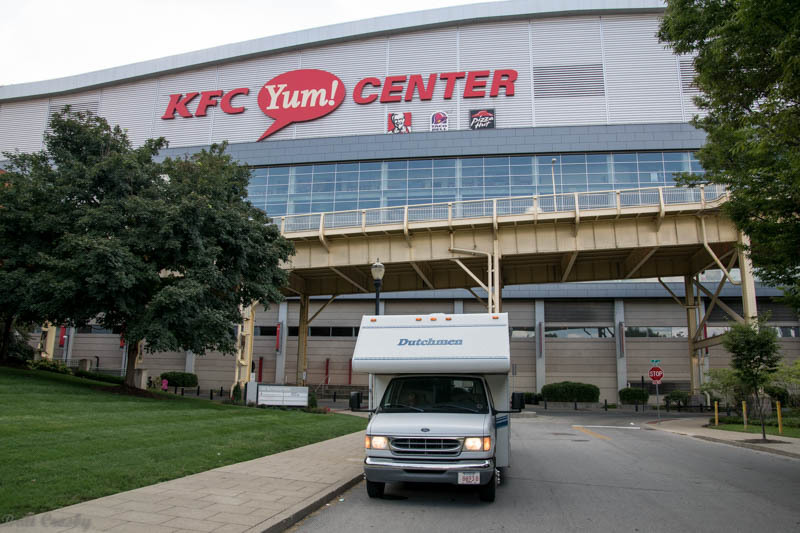 Looked like a fun place to watch a game, but again, we got places to go and stuff to do, so we passed on going to the game. 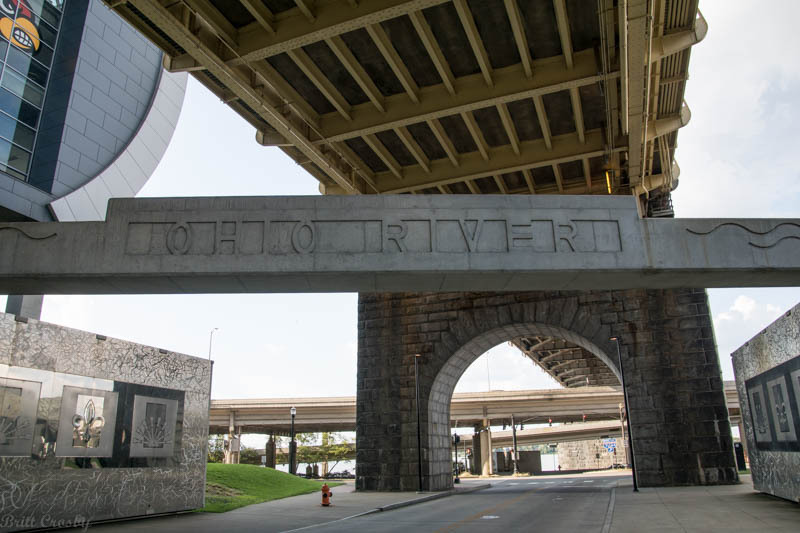 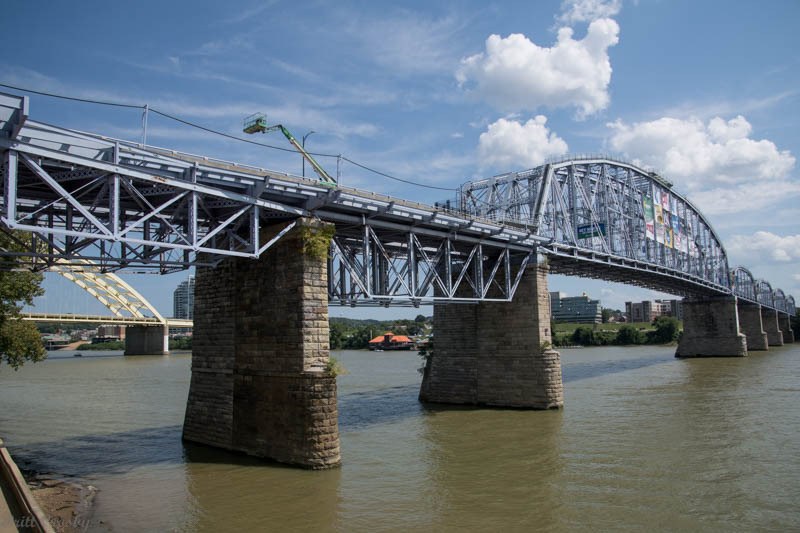 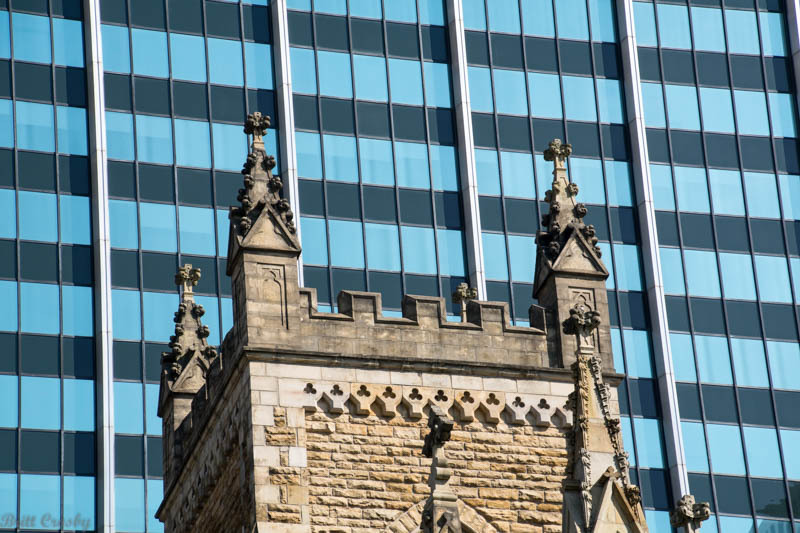 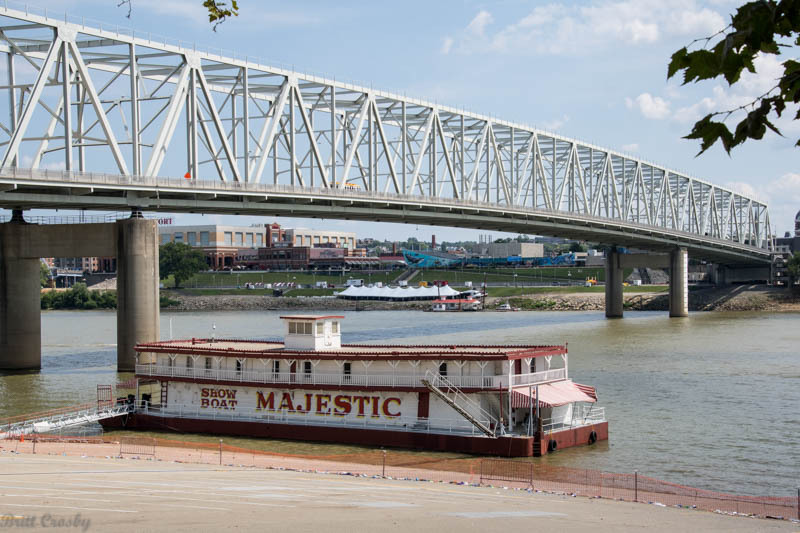 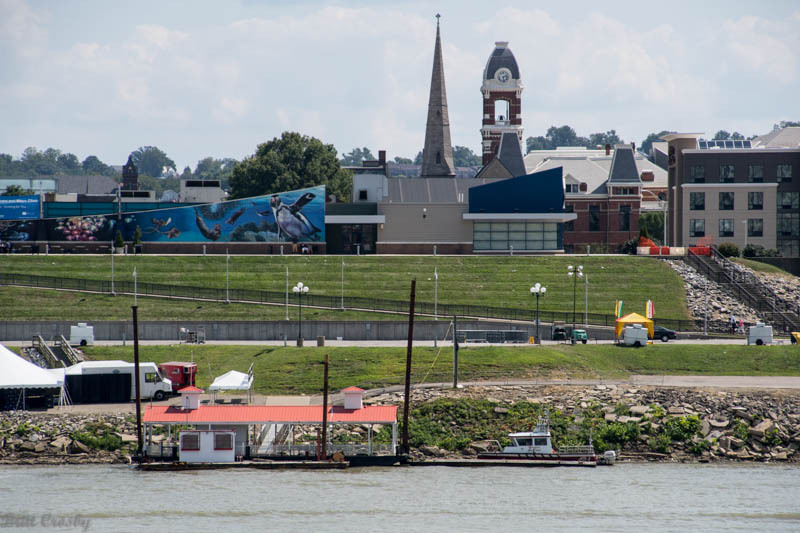 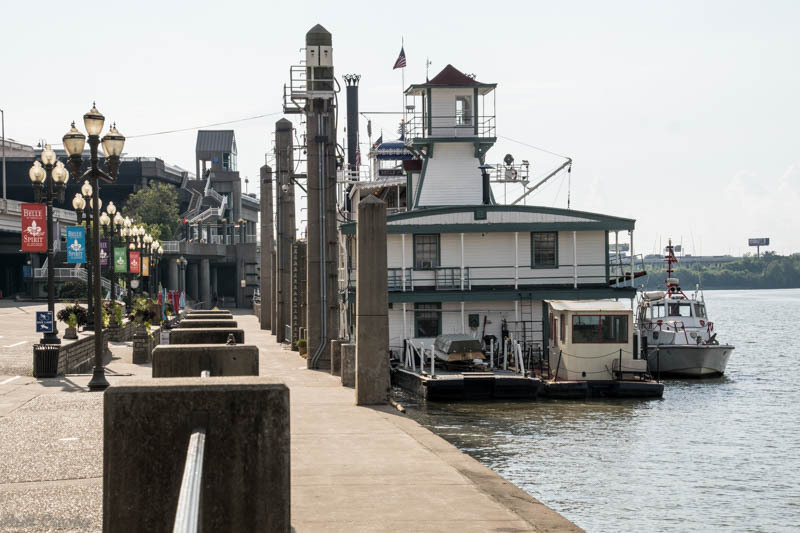 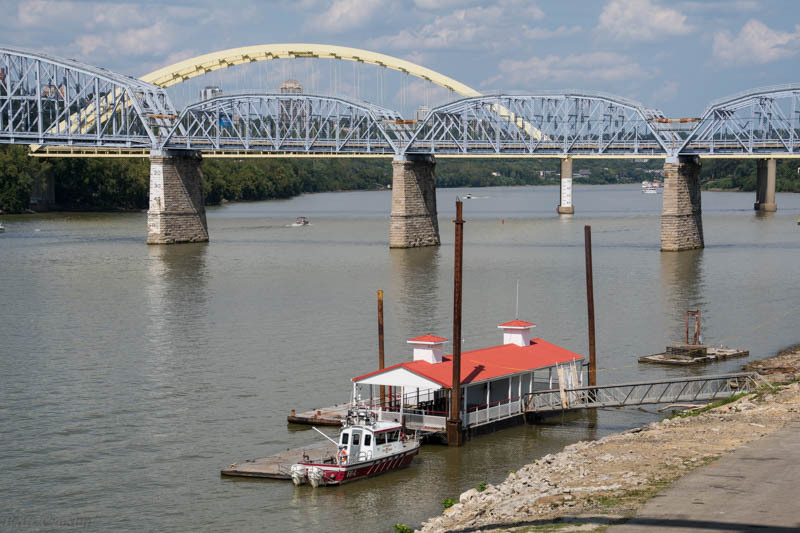 Across the river from Cincinnati is the city of Covington, Kentucky. 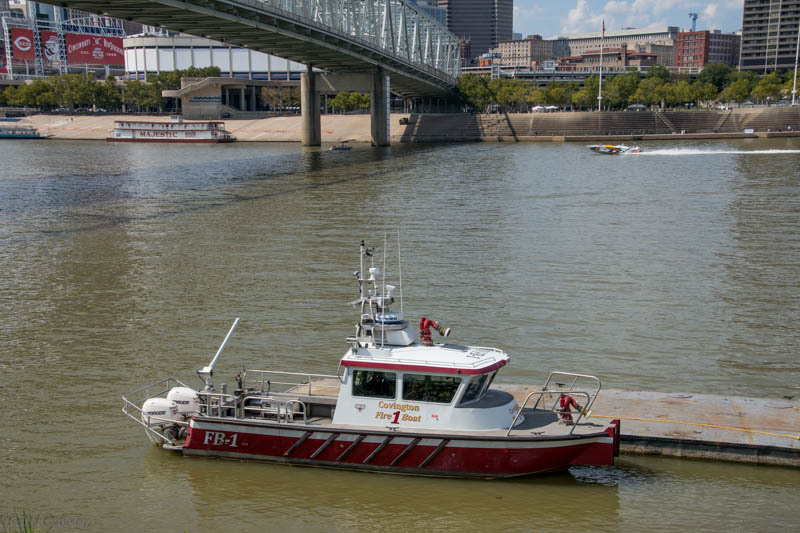 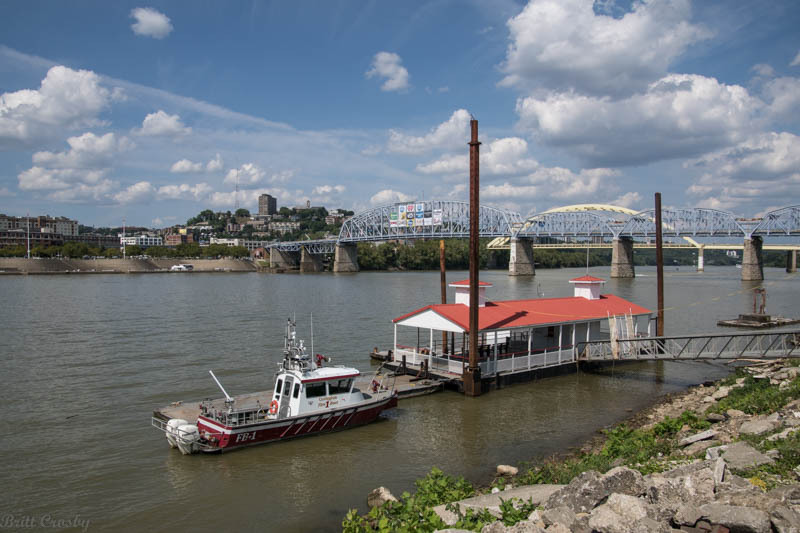 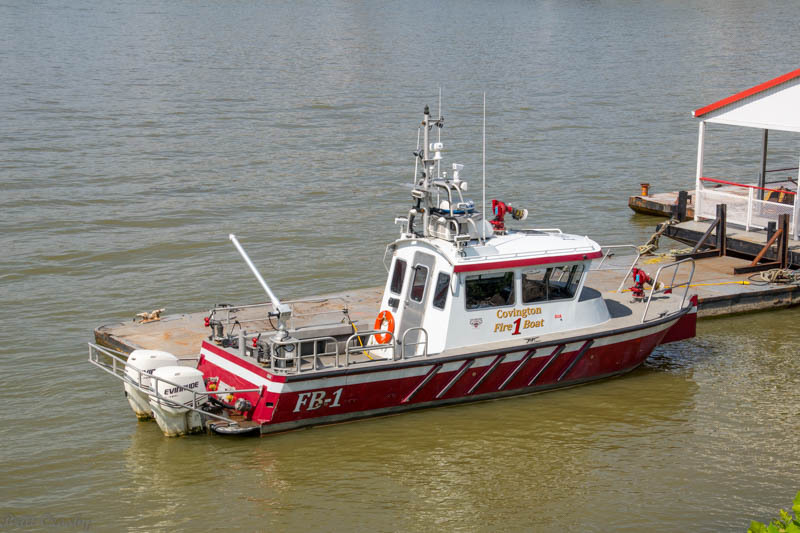 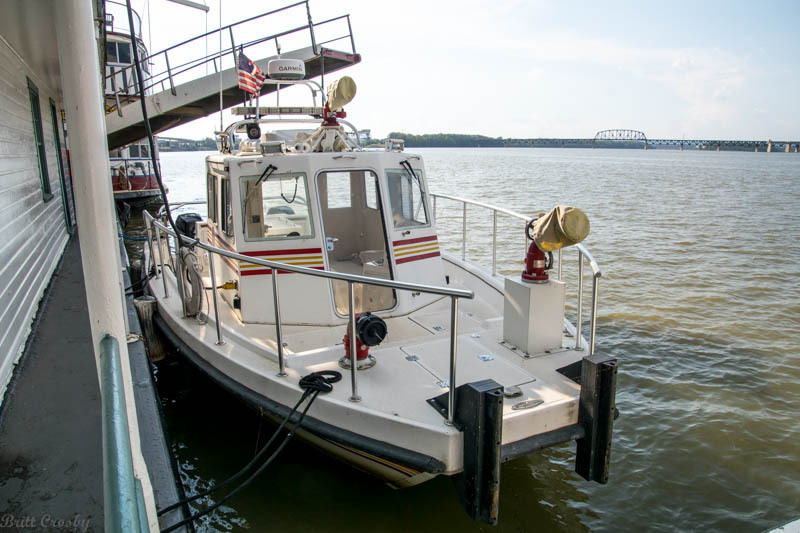 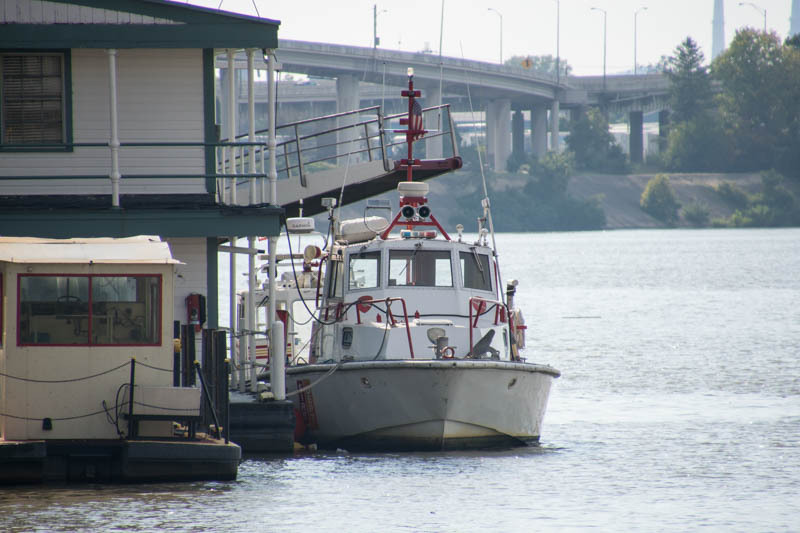 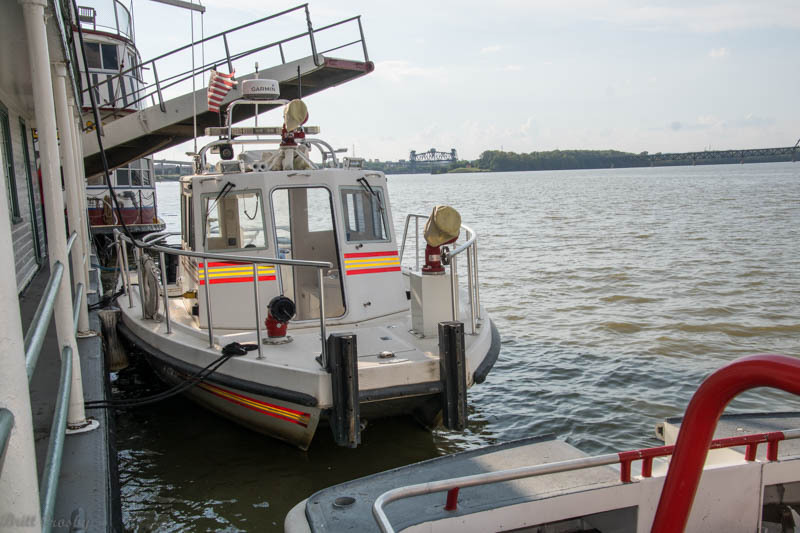 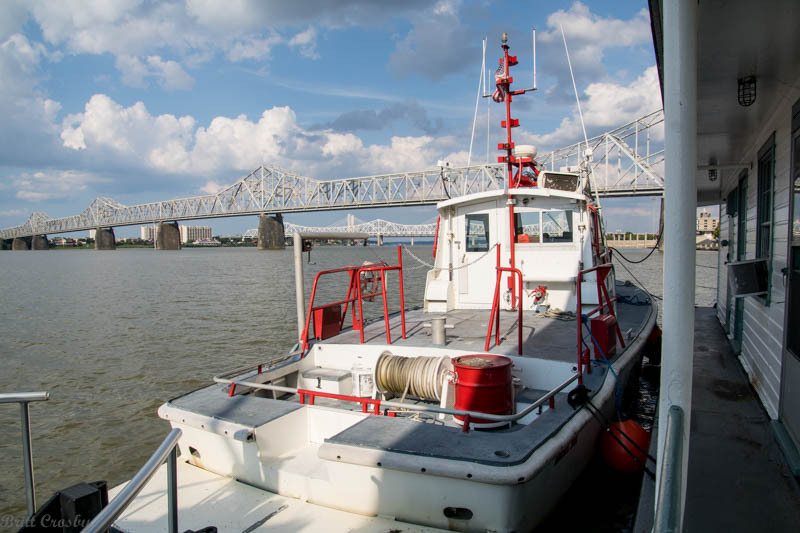 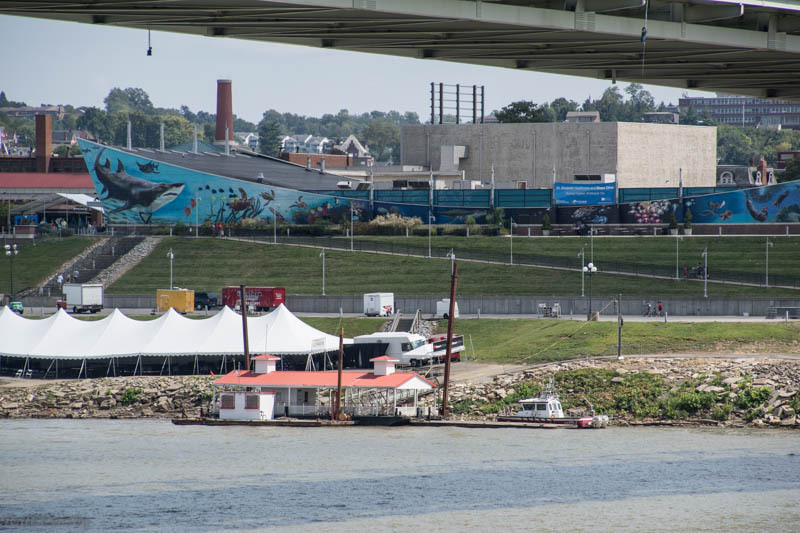 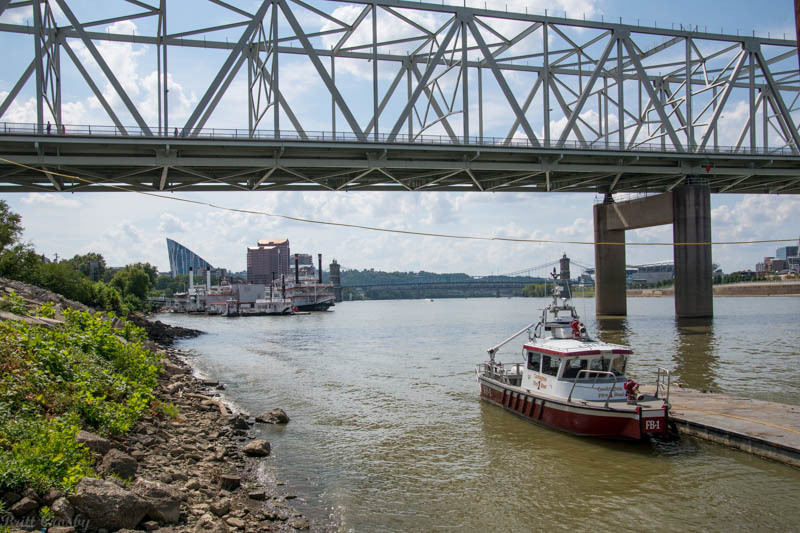 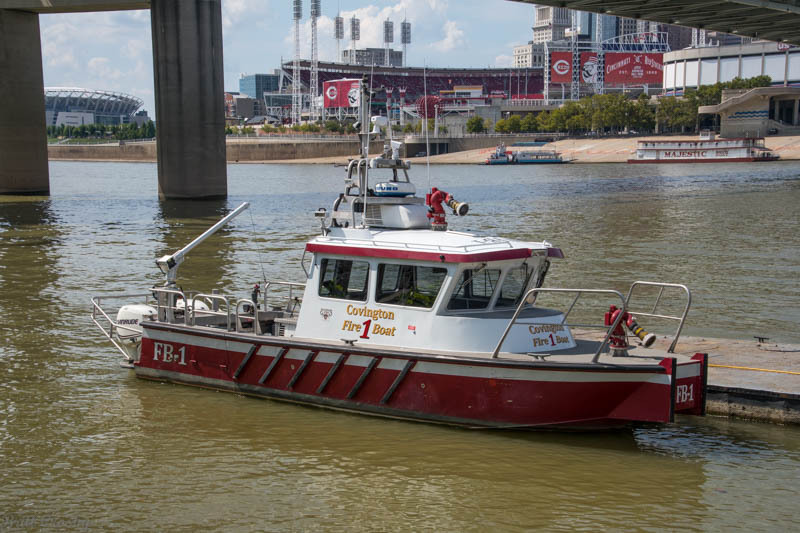 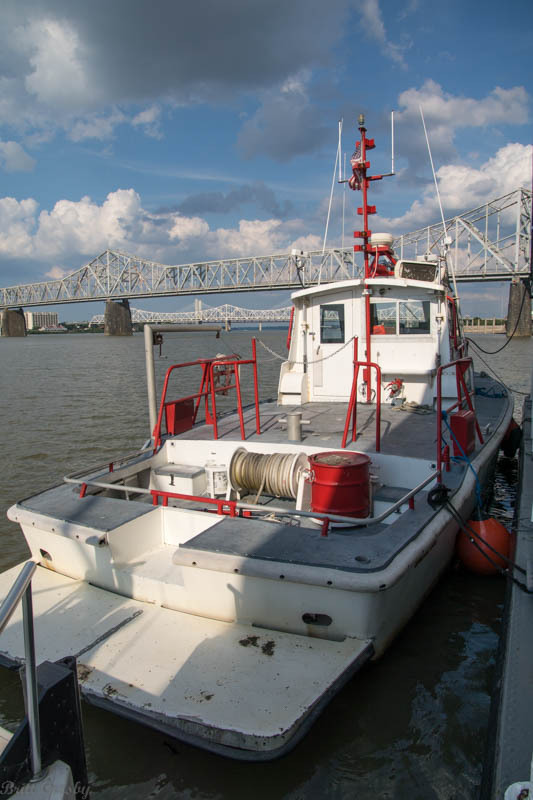 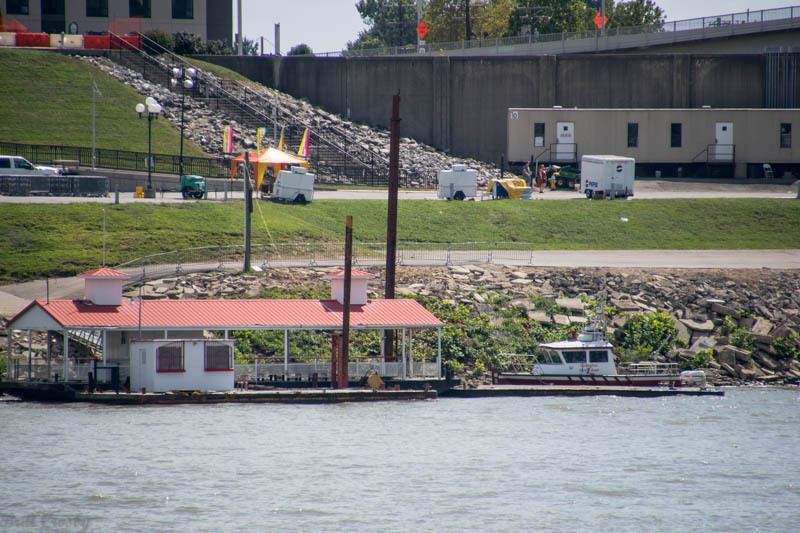 We headed over and took a few pictures of their fireboat on the Ohio River with the Reds ball park in the background. 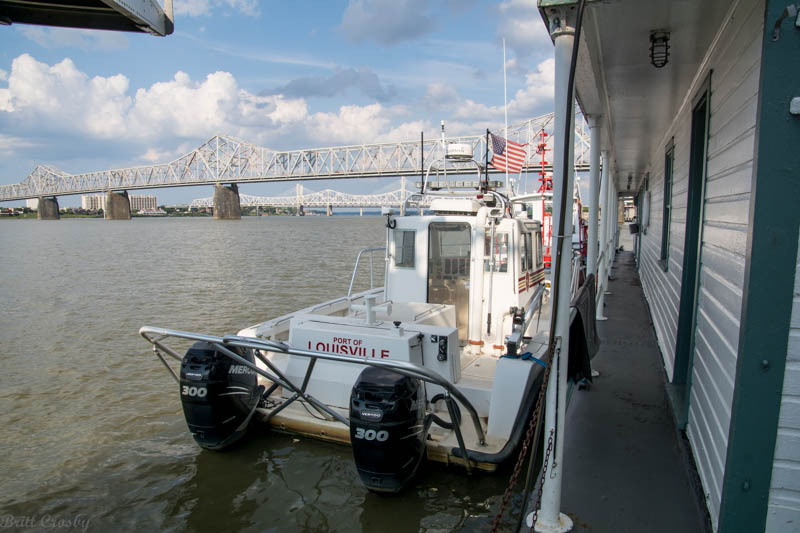 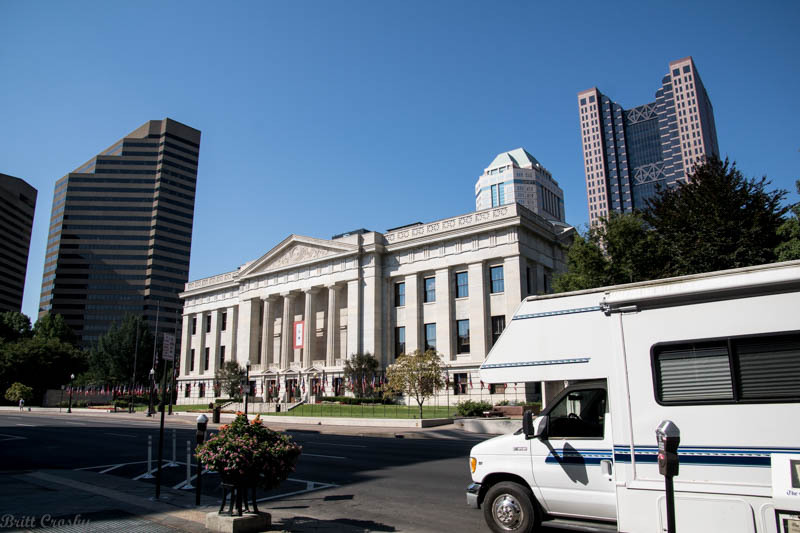 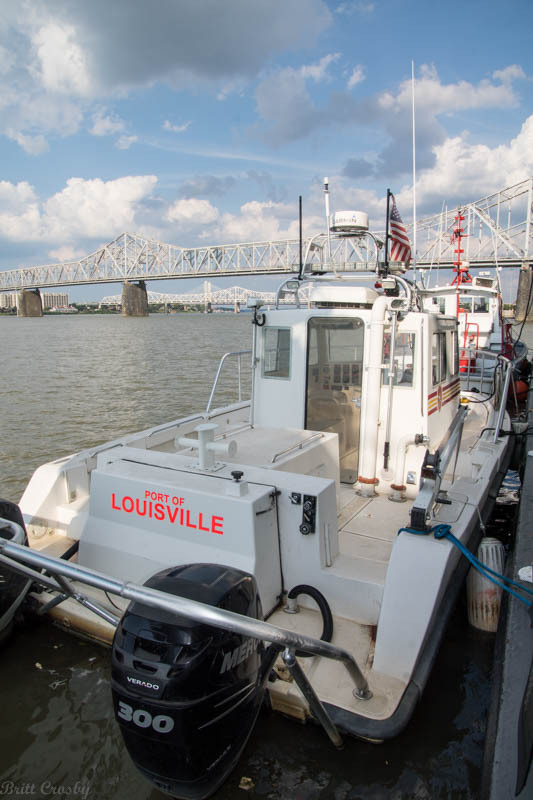 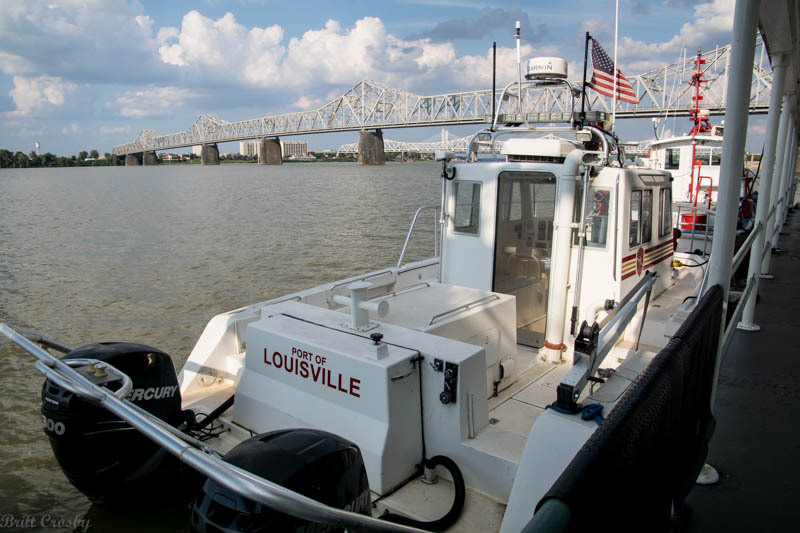 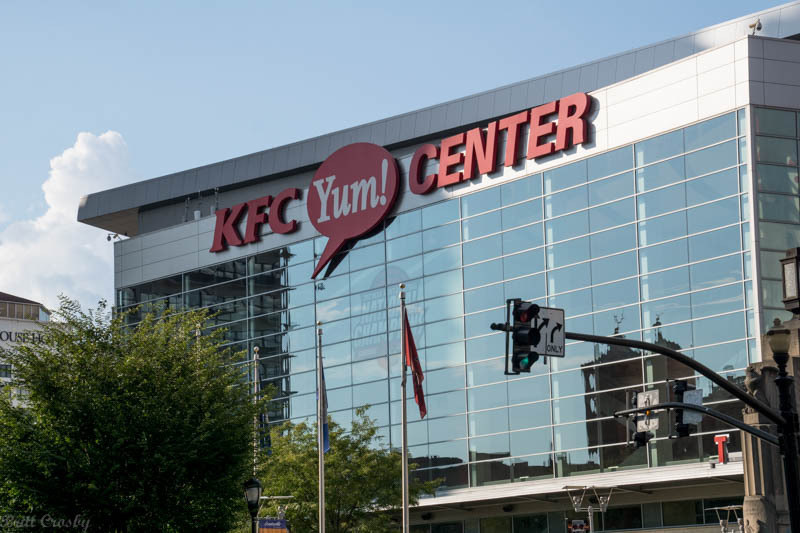 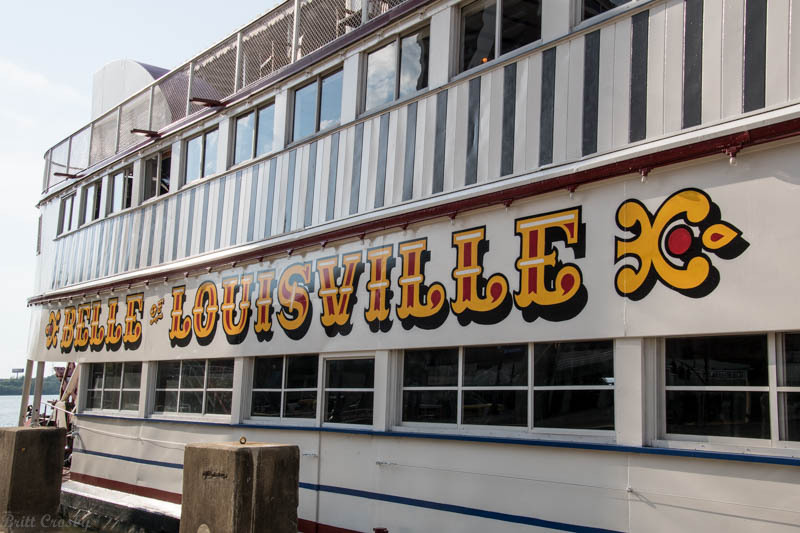 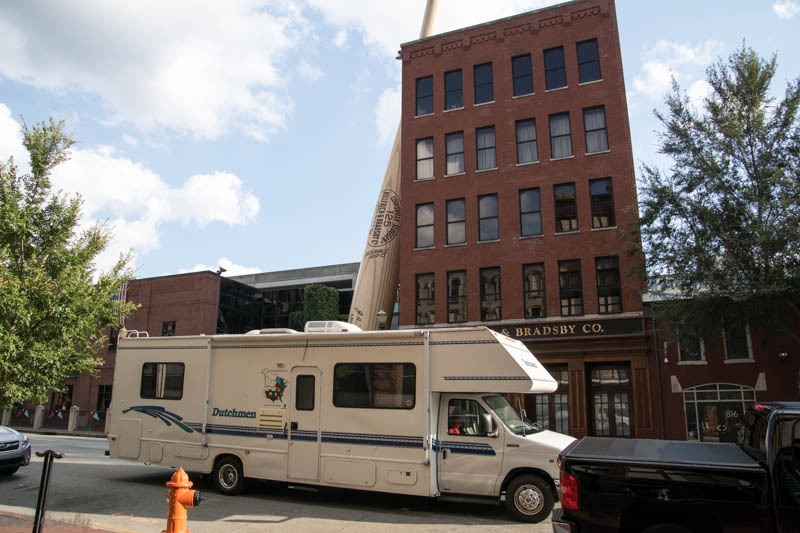 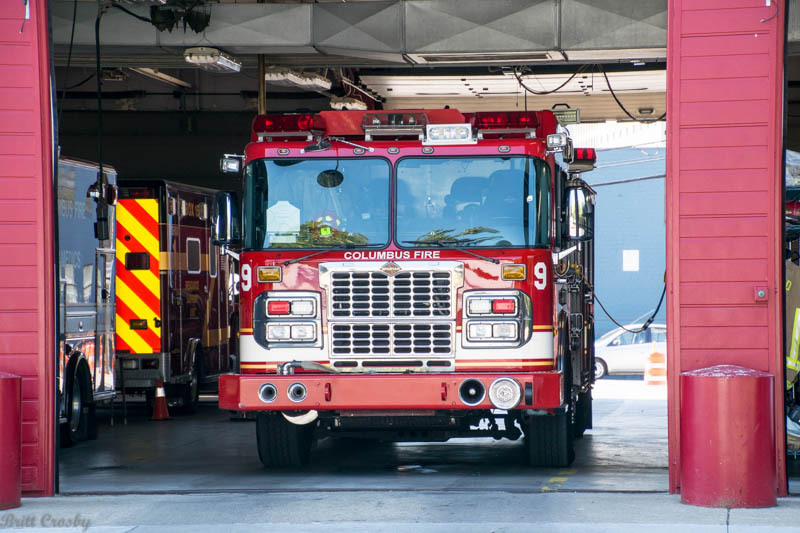 Next, it was off to Louisville, KY. Also located on the Ohio River, we found the Louisville fire and rescue boats, checked out the KFC "Yum" Center, and got a picture of the camper in front of a huge baseball bat at "Louisville Slugger." 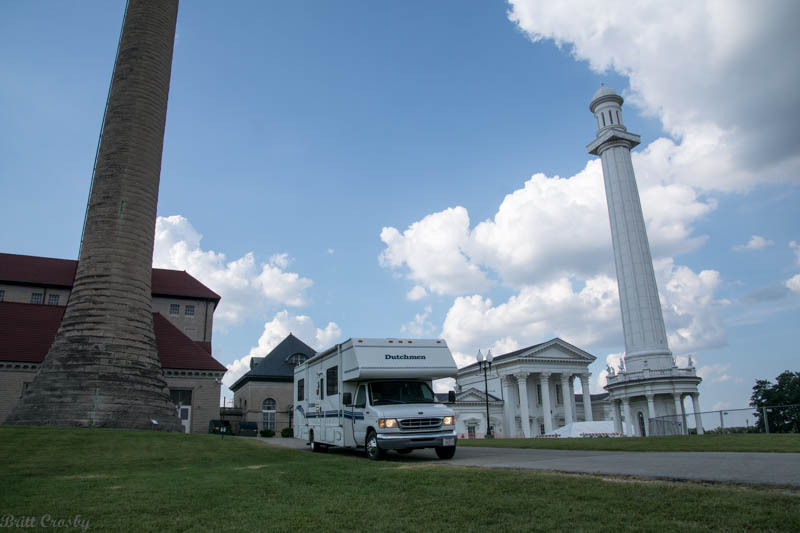 We crossed the river once again, into southern Indiana and a campground at Clarksville, IN for Night 4. 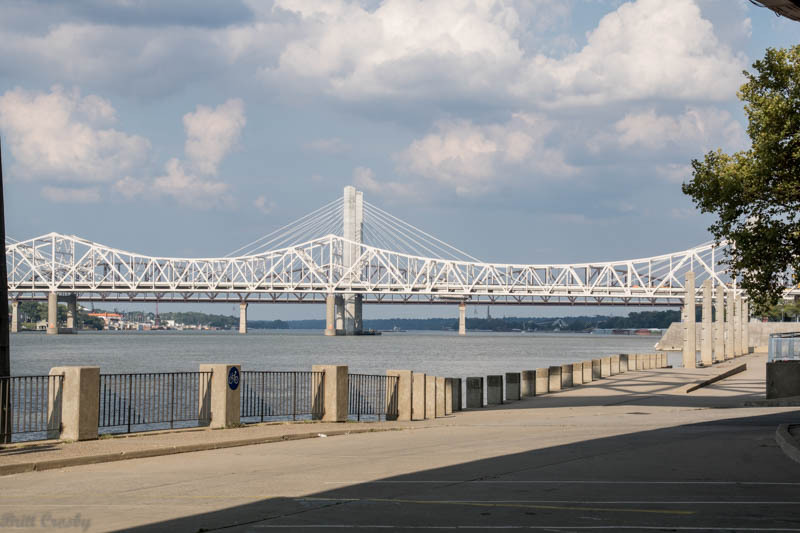 DISTANCE: 364 miles for the Day / 1138 miles for the Trip so far. 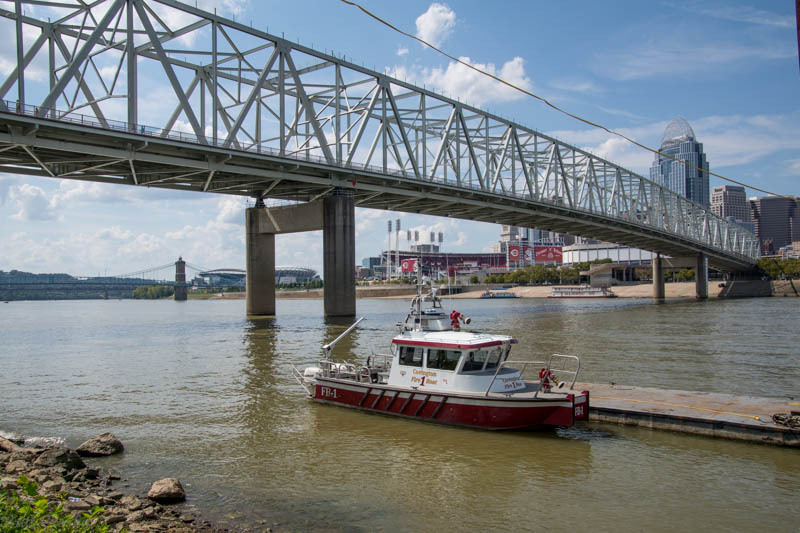 FIREBOATS: (3) Covington, KY. (4&5) Louisville, KY.
A big DISPATCH sign over Columbus, OH. 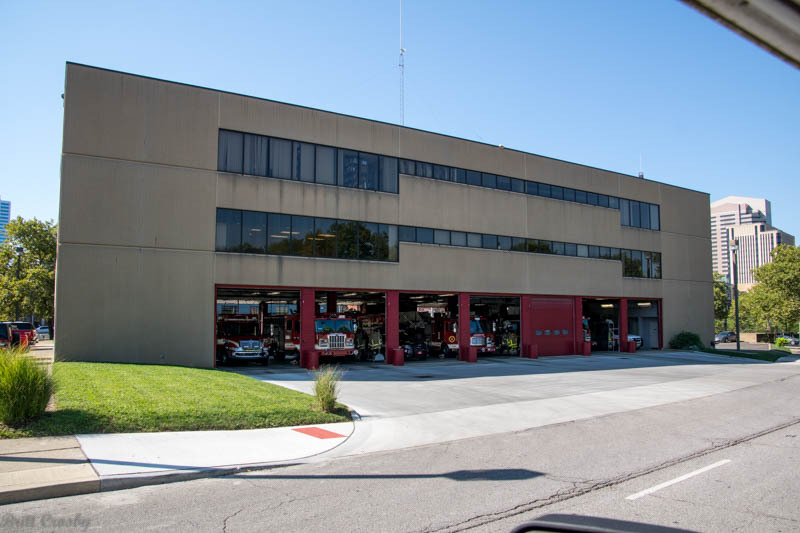 Columbus, OH Fire Station 1 - a Big house. 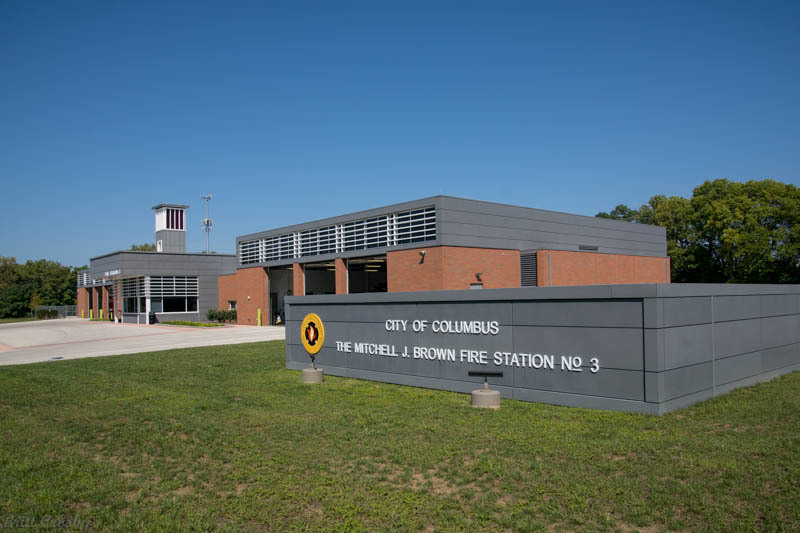 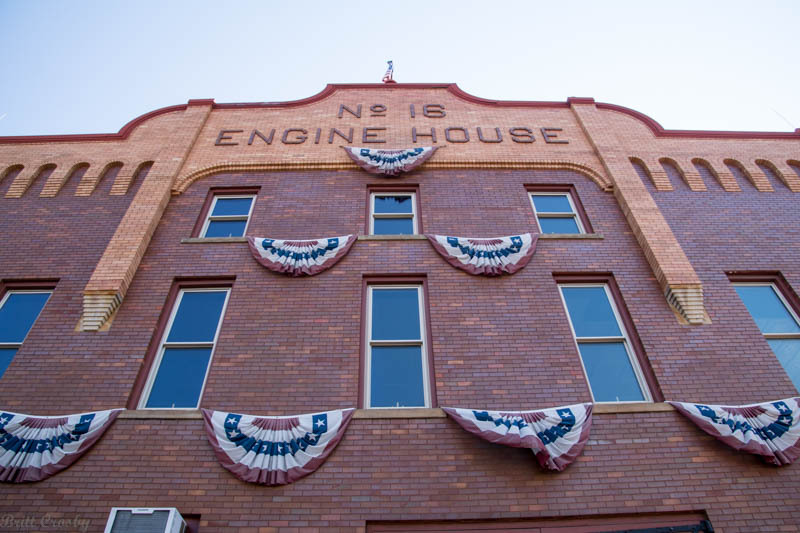 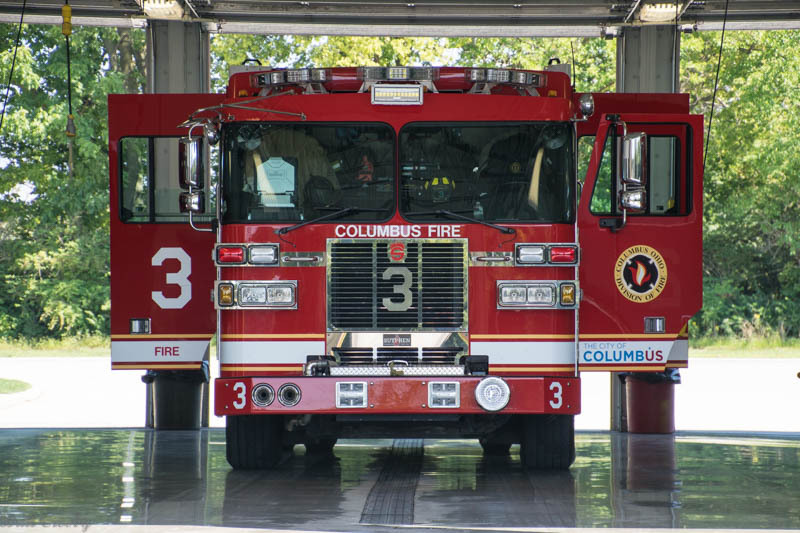 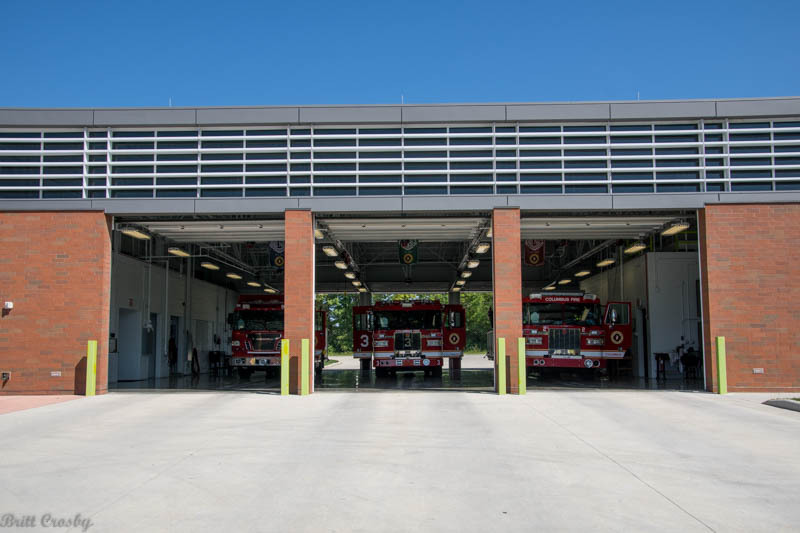 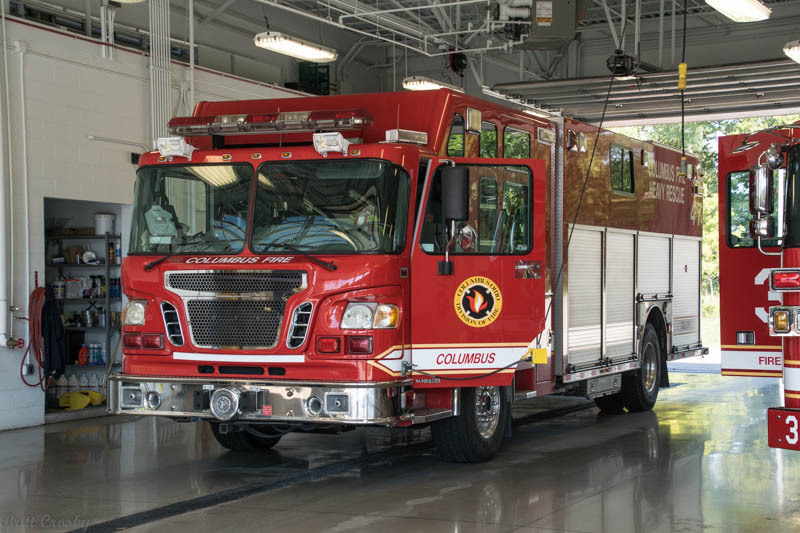 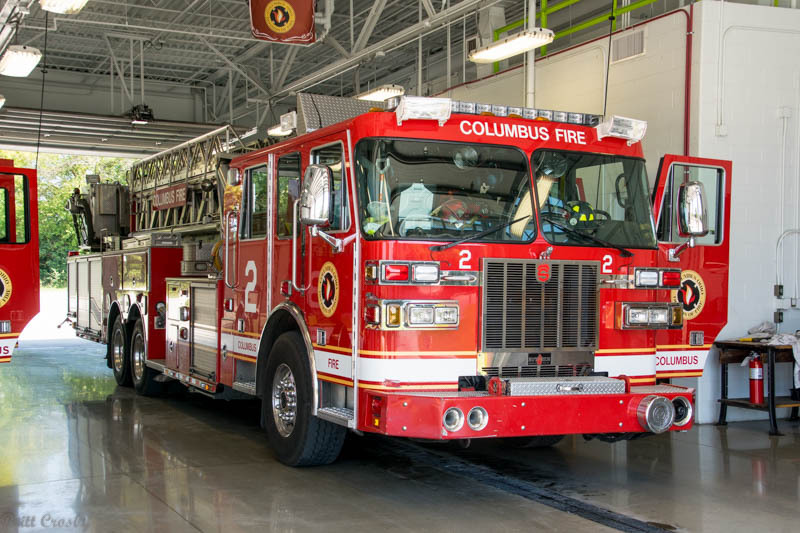 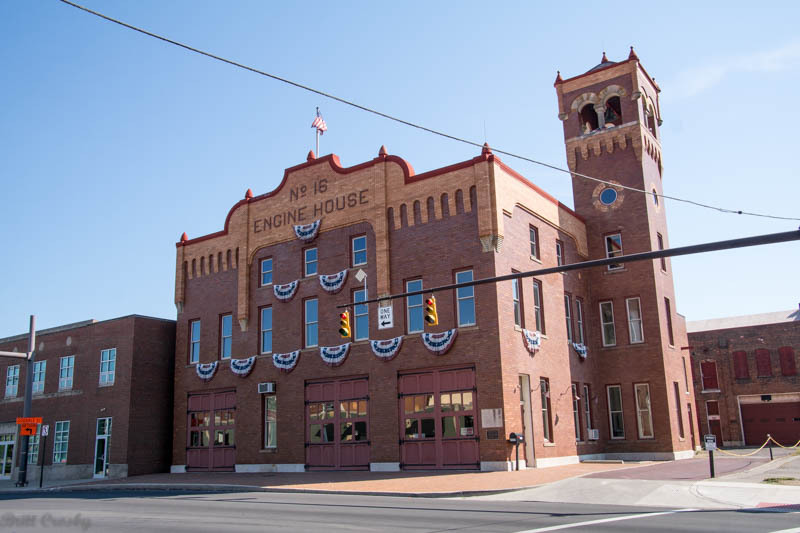 This great looking old fire station 16 is now a museum in Columbus. 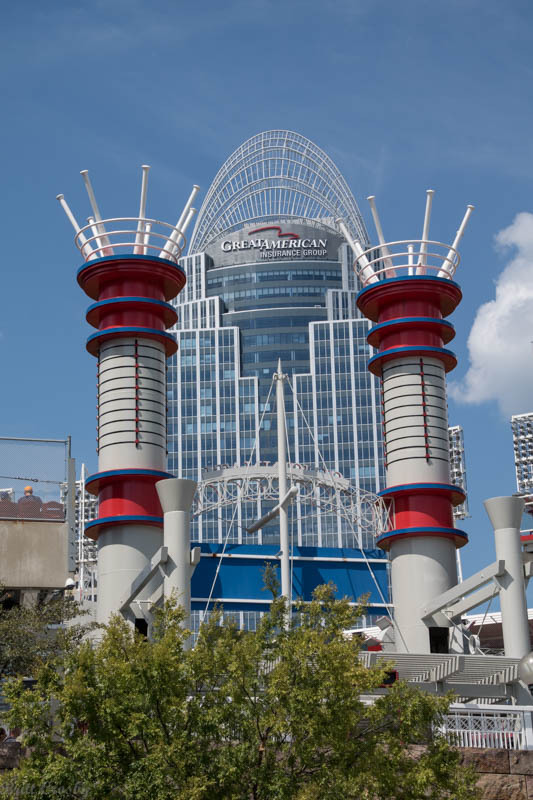 Unfortunately closed today. 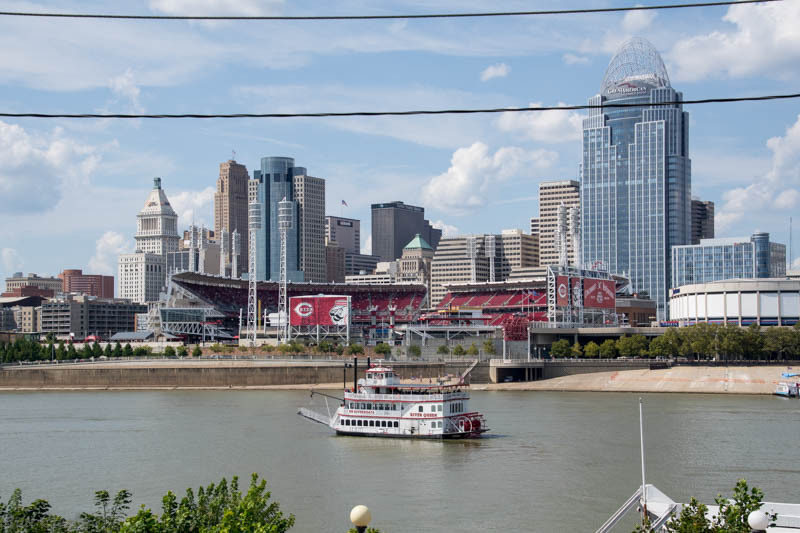 Cincinnati Reds at "Great American Ball Park"
The Ohio River looking across to Kentucky. 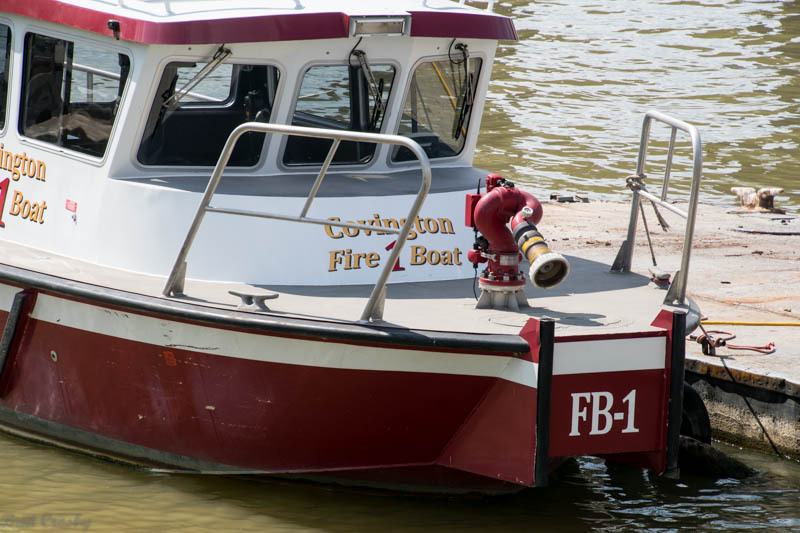 The Covington, KY Fireboat across the river from the ball park. 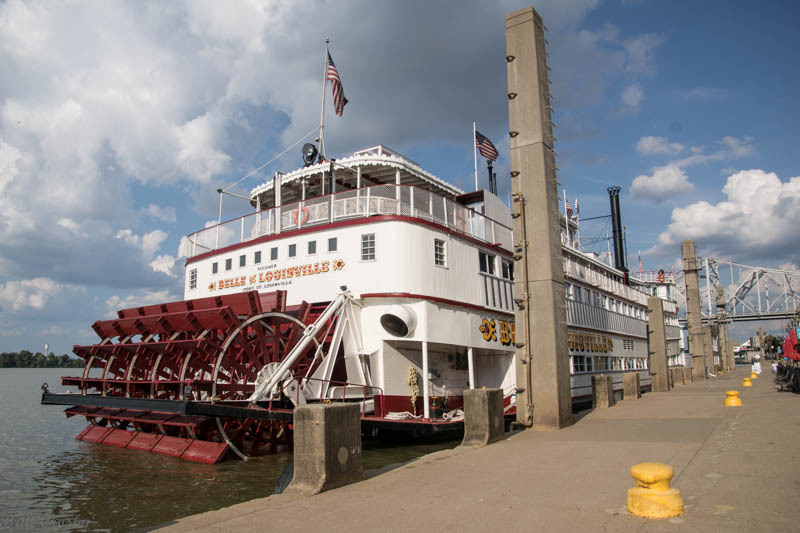 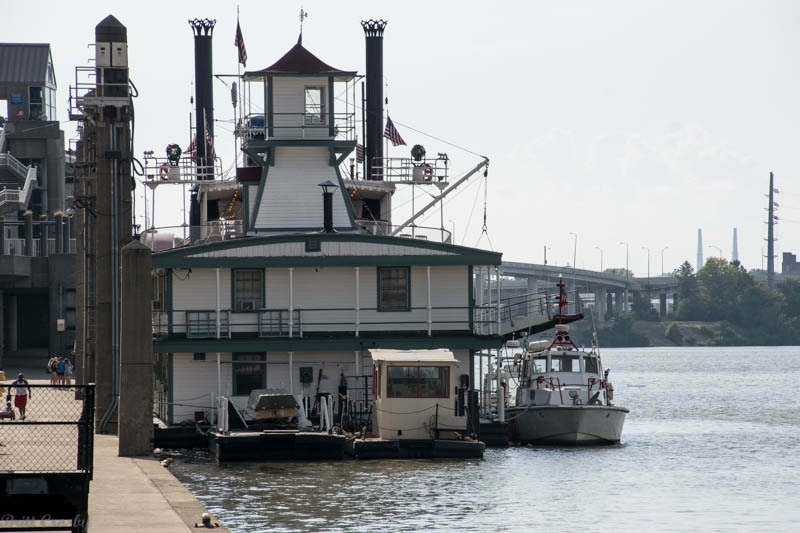 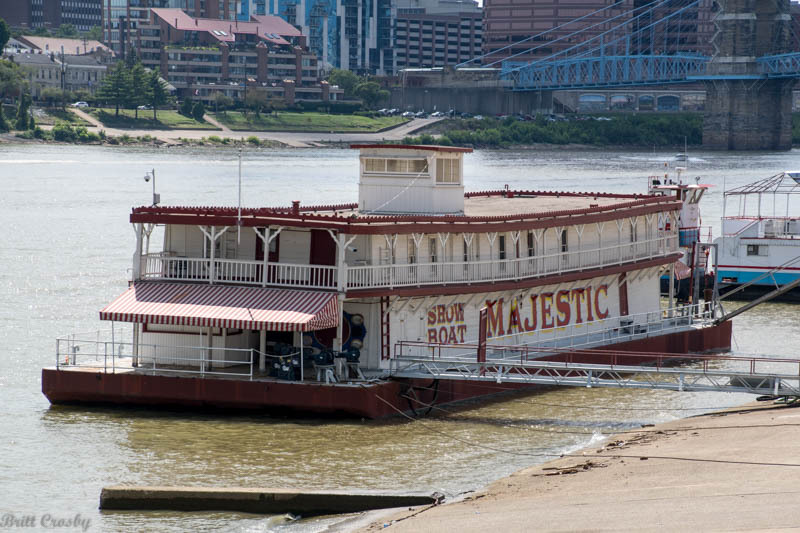 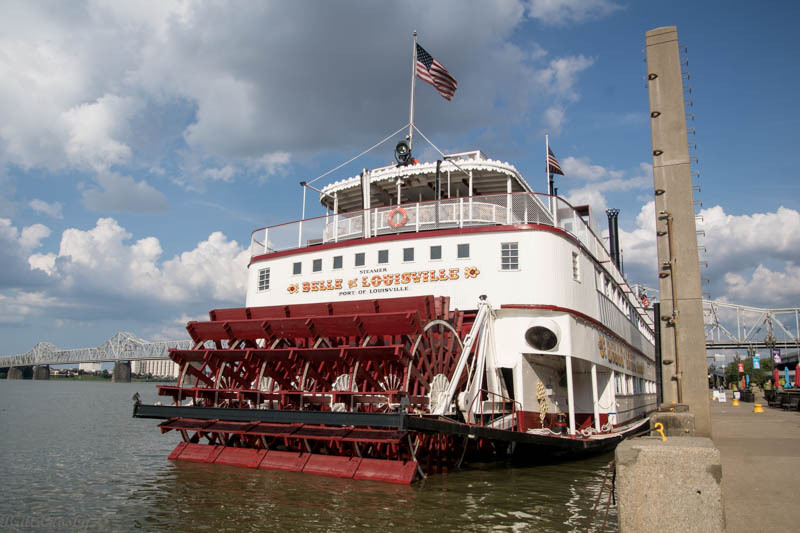 It seems every river city has a showboat or paddle wheeler.